Check out the Volunteer Calendar for April to July 2018 for volunteer opportunities. To become a volunteer, complete and submit the online Conservation Volunteer Application. For more information, call the park office at (717) 486-3799 Monday through Friday, 8:00 a.m. to 4:00 p.m. It is important for volunteers to regularly enter their volunteer hours in the Conservation Volunteers Tracking System. 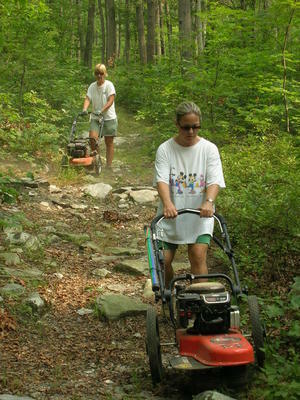 This ensures that both DCNR and FOKG can be eligible for grant funding for future projects. Also, the mileage associated with your volunteer activities may be tax deductible. Log in to the tracking system here. Instructions for using the tracking system can be found here.